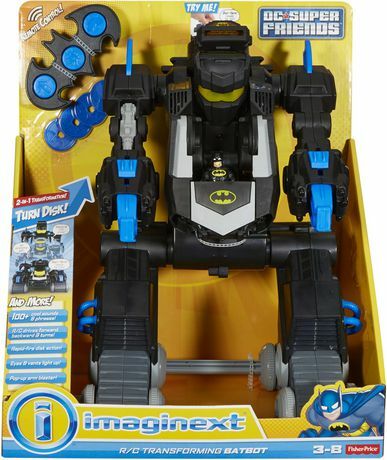 Young superheroes will have twice the fun with a robot and a tank in one! 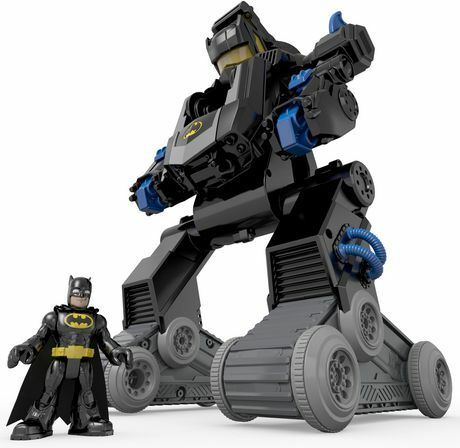 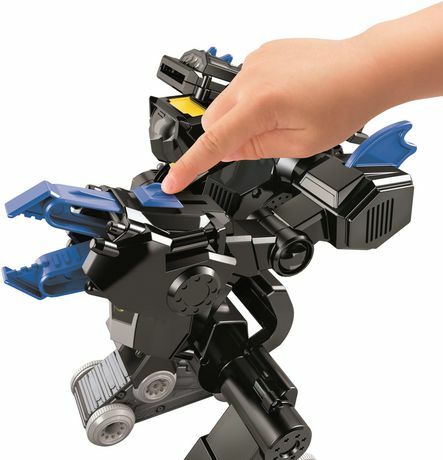 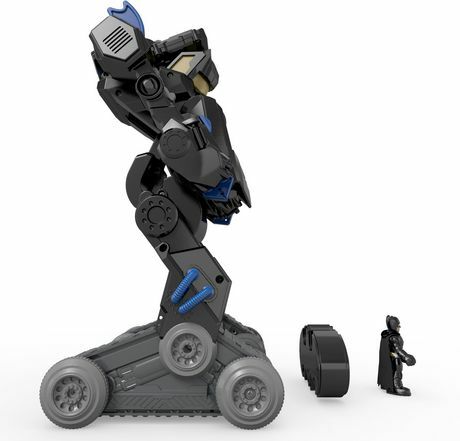 This crime-fighting robot transforms to a cool "armored" tank and back again just by turning the disk on the Bat Bot or using the full-function Remote Control. 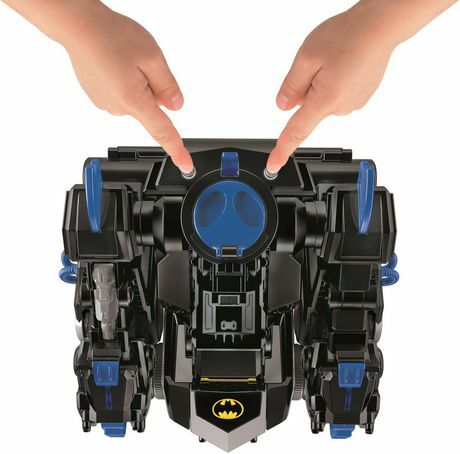 Besides an awesome transformation, kids can continue the action by activating the claw or launching disks at their favorite Gotham City villains! 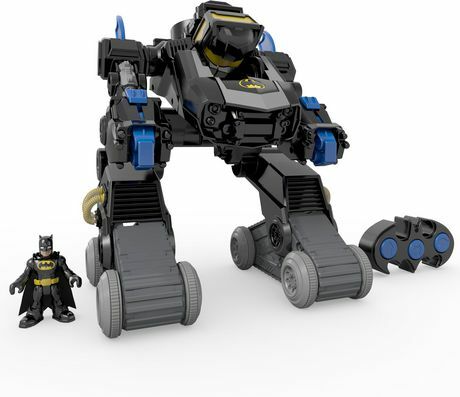 (Villains sold separately.) 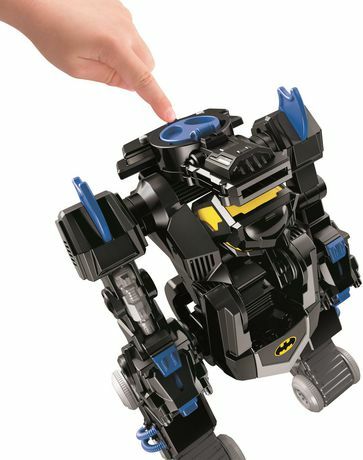 There are lights, over 100 sound effects and phrases and two different modes - Systems Check and Mission Mode - to help create new and different adventures every time kids play! 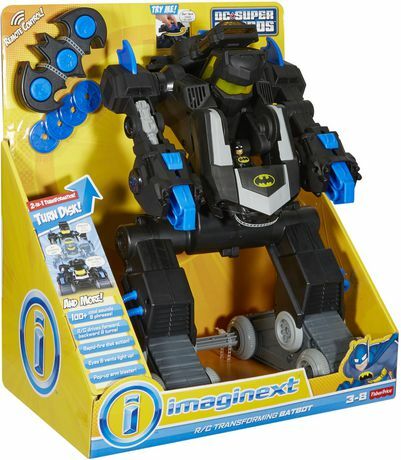 It's a robot and a tank in one-with over 100 sound effects and phrases!● Full-function remote control in both tank and robot mode● Includes Transforming Bat Bot, full-function Remote Control and four disks for launcher● Both arms rotate a full 90 degrees!● Add to the fun with more Imaginext DC Super Friends play sets, vehicles and figures!